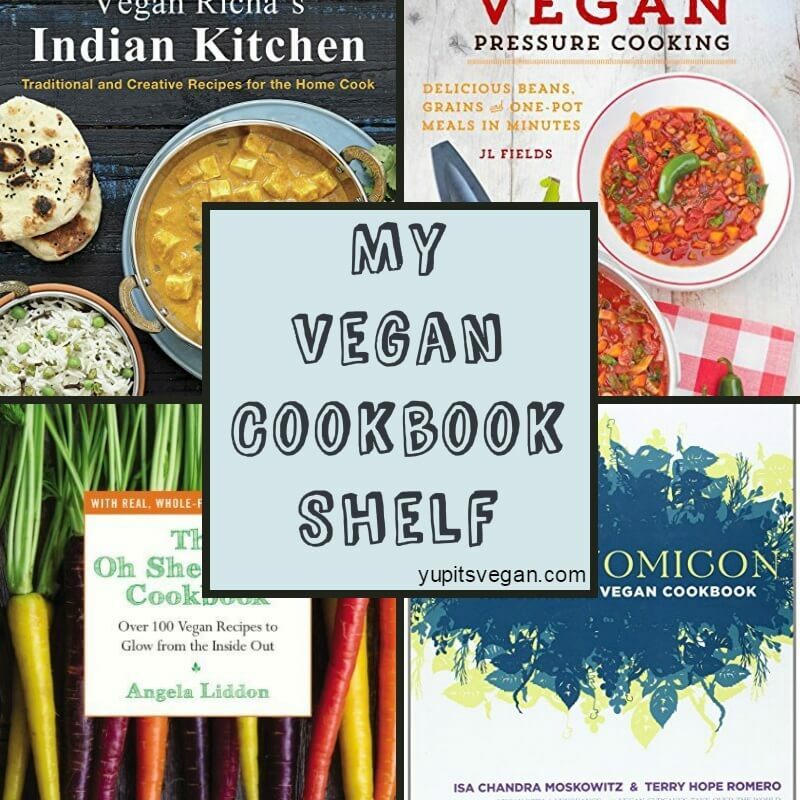 My Vegan Cookbook Shelf | Yup, It's Vegan! I’d much prefer to flip through a cookbook than a beauty magazine! Over the years I amassed quite a collection, especially since going vegan, as I found myself more enthusiastic about cooking than ever before. Here is a rundown in no particular order, of what’s on my cookbook shelf (including my virtual eCookbook shelf as well! ), with some of my thoughts about each. Those thoughts are the good, the bad and the ugly! All cookbook pictures on this page are links to the book’s Amazon page. I’ve also listed, when available, places where you can find some recipes excerpted from the cookbook and more in-depth cookbook reviews. Isa‘s books deserve their own category on my list because they are absolutely the pantheon of vegan cookbooks. Isa’s recipes are known for straight up always working, and reinventing classic flavors with a twist. The other thing you need to know is that Isa is one of the best writers out there, with a playful and humorous tone but also a tremendous way of incorporating cooking tips and tricks in a clear & concise manner. I own four of Isa’s books but I definitely plan to slowly collect all of them. (The ones I’m missing are Vegan Cupcakes Take Over the World; Vegan Cookies Invade Your Cookie Jar; and Vegan Pie in the Sky). Veganomicon. Some might call it the bible of vegan cooking. If you are looking for a reliable vegan recipe for just about anything, you’ll probably find it in this cookbook. Some of my favorites are the classic potato latkes and the cheater baked beans. I also like a lot of the salad dressings. There are a full range of appetizer, dip, entree, breakfast, salad, and dessert recipes, plus exhaustive cooking and pantry stocking guides. Appetite for Reduction. Similarly to Veganomicon, this cookbook runs the full gamut of recipe styles (minus desserts), but the overarching theme is that everything is low-fat. Now, I don’t necessarily think of myself as someone who eats “low fat”. I love to load up my diet with healthy fats like nuts, seeds, olives, avocado, and coconut. However, I do prefer to use oil in a limited manner since it’s halfway to being a processed food. 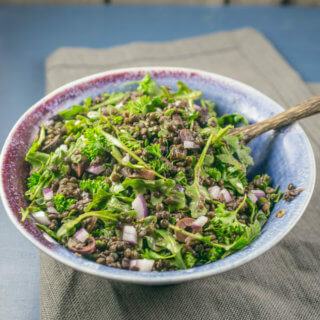 As these recipes are already low-fat, the chemistry of the recipes works really well for making an oil-free version (and adding whole food fats in whichever way I please). Everything is delicious, too, of course. 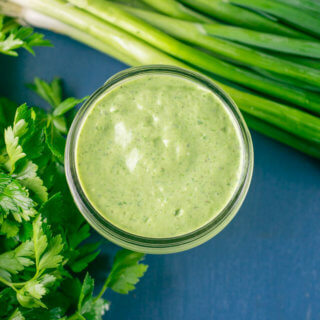 The use of herbs, spices, and bold flavors is abundant, which is important for low-fat cooking and also exactly how I like to cook in general. My favorite recipe from this book is the Mexican bowls with black beans in red velvet mole sauce. Coming in a close second are the sweet potato drop biscuits. Another thing worth mentioning is that Appetite for Reduction doesn’t have many pictures. All of the present pictures are in a several-page photo insert in the middle of the book. Isa Does It. As of the time of my writing this, it’s Isa’s newest cookbook and is pretty universally loved on the internet. Not that any of her books are not loved, but I think this one is having a special impact on people because all of the recipes are designed to be very quick and easy. 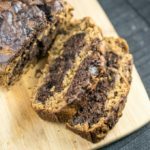 I made the marbled chocolate swirl banana bread the same day that I ran a 50K ultramarathon, just to give you an idea of how dang easy it was! And that VERY SAME DAY, my partner and I also made (as a team), the full spread of ‘nacho night’ recipes including her insanely good cashew queso blanco. See? Even someone whose legs are pretty much giving out beneath her, can easily make these recipes. Vegan Brunch. If I’m looking for a muffin, waffle, or pancake recipe, I always start here. That or a tofu omelette or tofu scramble, hash, gravy, or breakfast cocktail. It’s all here! The blueberry ginger spelt muffins get made regularly in my kitchen (with applesauce for a couple tablespoons of the oil). East Coast Coffee Cake on Vegansaurus! Vegan with a Vengeance. So yes, my love for Isa knows no bounds, but I promise that this is the last of her cookbooks I’ll discuss. 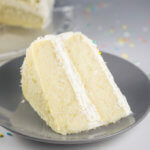 VWAV was recently updated for its 10th anniversary with streamlined recipes and ingredients and new full-color recipe pictures. So if you only have the original version, it’s time to pick up a new copy! Some great recipes in this cookbook include the Pumpkin Muffins, Chickpea Gravy, and Hostess Cupcakes (yes, you read that right). This is the kind of cookbook to keep close and flip through if you have no idea what you want to cook. Highly recommended. 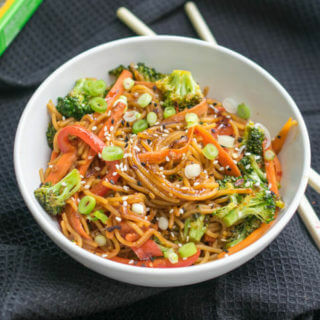 Isa Moskowitz isn’t the only food blogger to have released a vegan or vegan-friendly cookbook. Throughout the years, many other bloggers have published lovely books, some of which I fortunately received as review copies, others that I purchased myself. Here are the ones on my shelf. The Oh She Glows Cookbook by Angela Liddon. This cookbook by the author of Oh She Glows was one of the biggest blogger releases of the past couple of years and made several bestseller lists. It has, bar none, the most gorgeous photography of any of the books I own. I love several of the recipes from this book, especially the life-affirming warm nacho dip and the mocha chocolate pudding cake (yes, dreams come true). I don’t usually feel very inspired to make others’ recipes for smoothies, juices, or healthy breakfasts like oatmeal. I already have an easy and healthy breakfast routine and I just don’t feel the need to mess with it. There are a lot of things like that in this book and so I wouldn’t say I often cook directly from those recipes, but I love to leaf through it, look at the pictures, and feel motivated to eat healthy. As far as the savory recipes go, I have made several of them and all are winners! One of my favorite things about Angela’s recipes is her deft hand with spices. It’s always seasoned just-so. 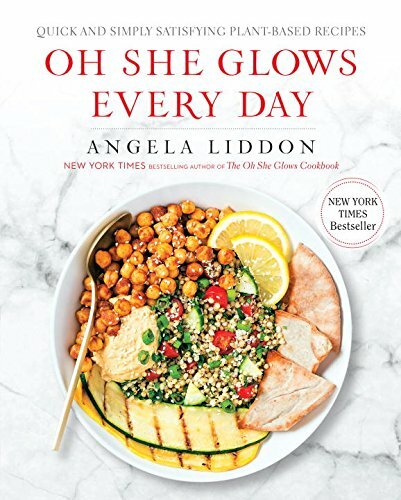 Oh She Glows Every Day by Angela Liddon. Full disclosure: I received a copy of this book but have yet to make any of the recipes. Flipping through Angela’s first book I had to stop on almost every page to imagine myself eating the delicious recipe. Flipping through her second book and I’m just uninspired. Objectively, I’m sure these recipes are good, but unfortunately I feel Angela has done nothing to reinvent the wheel here and create unique new recipes. Also, I don’t have a problem with photography that’s styled in a very clean and light way, but compared to her first book where the pictures were inviting and mouthwatering, these new photos are actually a little boring, with the same background and colors on almost every page. Maybe I set the bar too high from Angela’s first book but I was really let down by this one. Rawsome Vegan Baking by Emily von Euw. This cookbook, from the blogger at This Rawsome Vegan Life, is just as it sounds: a whole cookbook of raw, vegan desserts. Everything is decadent, easy to make, and delicious, especially the chocolate coffee tahini cups. I don’t cook from this cookbook often because I find the recipes to be excessively unhealthy by my preferred standards. Most of them call for remarkable amounts of coconut oil (which is also expensive!). However, it is good for the occasional indulgent treat – or as inspiration for healthier versions. Raw desserts are pretty forgiving so you can often be successful when reducing the amount of oil in a recipe. But I Could Never Go Vegan! by Kristy Turner. The title of this cookbook absolutely tugs at my heartstrings because yes, I used to be someone who uttered those exact words. Even when I started my transition to a mostly-vegan diet a few years ago, I didn’t think I’d ever totally pull the plug. However, here I am today, a vegan and the happiest and healthiest I’ve ever been, and absolutely not turning back. But I digress! 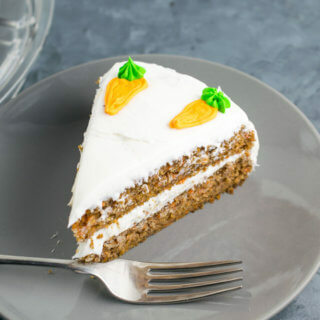 There are loads of different reasons people give for not going vegan and there’s no way a book could address them all, but this cookbook, from the blogger of Keepin’ it Kind has a chapter devoted to each of the most common food-related excuses. You know, things like protein fears, a constant and unending flow of boring salads, tofu skepticism, and sitting alone in your tie-dye shirt at the cafeteria. Each and every recipe in this book is thoroughly tested and amazingly delicious. True, I’m a little biased because I was a recipe tester! After some occasional tweaking, I loved every single thing I made. Homemade BBQ sauce, baked bean and cornbread casserole, flourless chocolate cake, lemon rosemary pound cake, espresso hazelnut tart, sweet & sour cauliflower, chickpea omelettes, jackfruit fajitas, homemade tortilla chips with peas-a-mole, radicchio and beluga lentil salad, and loaded Mexican baked potatoes. Kristy, what can’t you do?! Even if you’re, in fact, pretty sure that you’ll never go vegan, I still HIGHLY recommend this cookbook. It’s really a great volume for anyone who loves to cook. I’m not sure I’d recommend it for beginner or new cooks because many recipes have lots of steps and/or several components. But everything in here is undeniably delicious and really does blow those particular excuses out of the water. Vegan Pressure Cooking by JL Fields. This is the second book by JL Fields, the first being Vegan for Her, which I don’t own. And you guessed it, the book is all about using the pressure cooker to make vegan food. 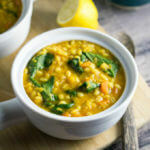 The book has many healthy and appealing recipes, and I especially enjoy the Indian dal dip and the black-eyed pea and collard green chili (which is the cover recipe). I do, however, think there is too much filler material, and the chapters are disorganized. The Vegan Stoner by Sarah Conrique and Graham Haynes. Someone thought it would be funny to get me this one as a gift. =P I absolutely adore the artwork, but I’m not quite as smitten with the recipes. 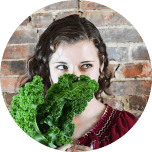 If you read my blog regularly you know that I don’t especially care for recipes that call for ingredients such as “vegan sour cream”, “vegan cheddar shreds”, “vegan egg replacer”, or “vegan butter”. Unfortunately this book relies really heavily on such things and as a result there weren’t really many recipes I wanted to try. However, from people who like that kind of food more than I do, this recipe collection seems to be well-regarded. There are definitely a few recipes made – mostly – from scratch, but I haven’t gotten around to cooking any. But for real, I would seriously buy a book of just the artwork. Vegetables doing yoga? Vegetables making fun of each other? I love it. Teff Love by Kittee Berns. I wasn’t part of the blog tour for this cookbook but I had to buy a copy for myself after seeing the universal gushing over it that other bloggers were doing. I have certainly not been disappointed. Some recipes that I’ve enjoyed so far from the cookbook include ayib (fresh cashew cheese); spicy flaxseed sauce; ye’misser wot (red lentil stew); and countless veggie dishes including carrots, cabbage, and potatoes. You’ll need to start by stocking up some spices and chili peppers to make seasoned oil and berbere paste – most recipes use one or both of them. Both will keep well in the fridge or freezer so it’s well worth the investment. I really have enjoyed bringing Ethiopian flavors to life in my kitchen! One complaint I have about the recipes is that most of them call for quite a bit of oil, more than I prefer to use. I usually reduce the oil quantity by half or even more and that hasn’t caused any problems for me. Kittee also takes you through the process of making injera, the flatbread pictured on the book cover that is served with most Ethiopian dishes (and also folded up to use as a utensil!). It’s a several-day process of fermenting a dough made from teff, a highly nutritious gluten-free grain. Some of the fusion food recipes in the book include creative uses of teff flour, like mocha teff brownies. 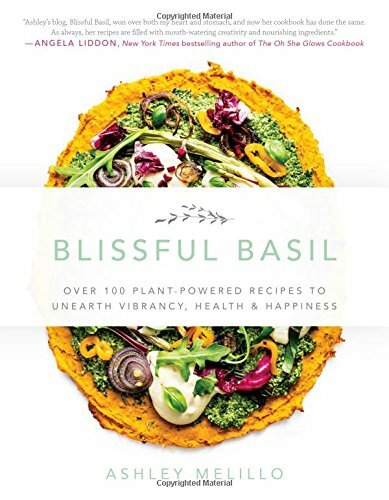 Blissful Basil by Ashley Melillo. Ashley’s blog of the same name is one of my favorites to gawk at. 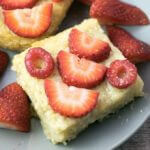 Her savory creatives are creative and colorful; her sweet recipes are wholesome and delicious. And I truly think she saved some of her best recipes for the cookbook. Honestly, vegan cookbooks are starting to blend together for me; there are several I own that haven’t made it onto this list yet because they’re so forgettable. But NOT Blissful Basil. This book is a revelation of flavors and ideas. Flipping through the book I find a number of things I’ve never thought of or seen anywhere before and the recipes I’ve tried so far have been 100% successful. Plus, almost everything is gluten-free and free of refined sugar. A highly recommended book from me. The Cheesy Vegan by John Schlimm. Let’s start with the good: the recipes in this book are really really easy to make. There are recipes for quite a few different vegan cheeses, including some block cheeses that are meltable and shreddable. For most of them all you do is blend some things, and/or mash some things. The back half of the book is a bunch of recipes for then using the cheeses in complete dishes. Another thing worth noting is that few of these cheeses have authentic flavor. They use various ingredients to mimic the flavor of dairy cheese and are delicious in their own right, but I doubt I’d add any of them to a cheese plate. 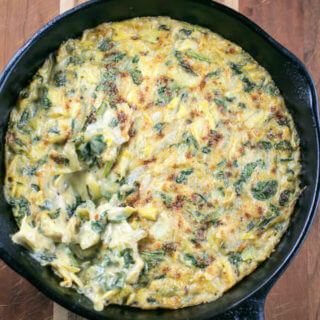 I enjoyed the broccoli casserole recipe and the spinach dip, and the tofu ricotta (used in lasagna). All in all, this is a good cookbook for vegan cheese beginners, but it is not the (nondairy) cream of the crop. It has a few editing/testing errors as well as recipes that are just pretty basic compared to what you’ll find in the other cookbooks below. 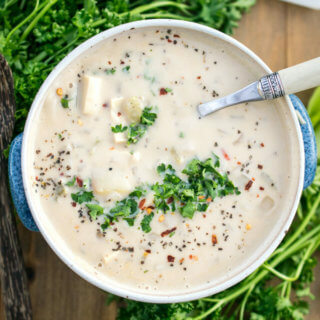 The Non-Dairy Evolution Cookbook by Skye Michael Conroy. If you are ready to take your vegan cheeses to the next level and experiment with more unusual ingredients like carrageenan, lactic and citric acid, and lecithin, I highly recommend the Non-Dairy Evolution Cookbook. The recipes are researched and crafted with incredible Rigor by Chef Skye. This book is actually an update to the older, out-of-print Non-Dairy Formulary, with all of the recipes extensively tested again and sometimes revised. Most of the recipes are based either on plain soy milk (the kind made from nothing but water and soy beans), plain homemade almond milk (again, water and almonds), or raw nuts. I like that some cheese are milk-based because it makes things a lot easier for those of us without high-speed blenders! From shreddable, meltable Mozzarella Fior di Latte that’s perfect shredded onto pizza, to havarti, to smoked provolone, to brie and camembert… you’ll find everything here. And the recipes are MUCH closer to tasting like the real thing than those in the more basic Cheesy Vegan cookbook (above). But it’s really the texture of the cheeses that is so spot on I almost cried a little bit. Have you ever been to a Greek restaurant in the United States? If so, you may be familiar with the dish saganaki, which is made with a firm cheese (often halloumi or kasseri) cut into squares and fried in a cast-iron pan with lemon juice, then flambéed with brandy. It’s the part where everyone at the table yells, “Opa!” as the flames shoot up from the skillet. And then you dig into the hot fried cheese with melted pita bread. In summary, it’s the sort of thing I figured I’d just live without when I stopped eating dairy. But there is a vegan recipe for saganaki in Chef Skye’s book, using the Mozzarella Fior di Latte I mentioned above. And we made it. And the authenticity and deliciousness were almost too much for me to handle. Plus, it feels really badass to set stuff on fire, on purpose, in your own kitchen. Chef Skye also has another book called The Gentle Chef, which runs the full gamut of veganized recipes from meat alternatives, to reinventions of classic sauces and dishes, to basic dairy alternatives like vegan heavy cream. He also has an upcoming seitan cookbook. 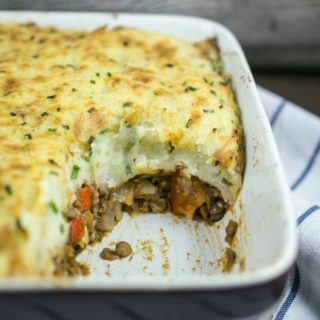 And there is an extremely active Facebook group for people to share their experiences with making Chef Skye’s recipes from all of his books, plus share advice and recommendations. If you join the group you can see hundreds (thousands?) of pictures of home cooks’ results making his various recipes. The chef himself is also active in the group which is something most cookbooks will not get you. Please note: if you purchase the Non-Dairy Evolution from Amazon, you’ll get a hard copy with no pictures. A PDF version with full color pictures is also available for purchase from the official website. Artisan Vegan Cheese by Miyoko Schinner. This is almost certainly the most well-known vegan cheese cookbook out there. In fact, Miyoko Schinner’s recipes were so groundbreaking and popular that she now runs her own vegan cheese company. (If you want to get technical, they are sold as ‘cultured nut products’ because the state of California has some pretty silly business laws). I have purchased several of those cheeses, and bar none, they are the best and most authentic vegan cheeses I have ever tried. If you purchase Artisan Vegan Cheese you’ll have access to all of the methods and information you need to recreate any of her commercial cheeses – oops I mean ‘nut products’ – at home. 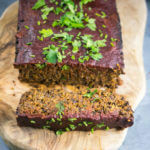 The majority of recipes in the book are based on a fermented liquid made from sprouted grains called rejuvelac. Similarly to Chef Skye, Miyoko uses a few more unusual ingredients like carrageenan, agar agar, xanthan gum, and tapioca starch in order to achieve the best texture for her cheeses. You’ll find yourself aging wheels of vegan parmesan for weeks in your cupboard, or slicing into an alarmingly-similar-to-dairy-cheese block of smoked provolone. I can’t really do justice with my descriptions. Check out the Amazon reviews, which I think speak for themselves (you can access the Amazon page by clicking the picture above). But just know that when it comes to the cheese that you thought you couldn’t live without… and then realized you COULD live without it… turns out you don’t have to! Seasoned authors, restaurateurs, sort-of-bloggers-sort-of-not. This is my catch-all category until my collection gets big enough to subdivide it again :). One-Dish Vegan by Robin Robertson. One pot meals are all the rage right now and it was smart for Robin Robertson to capitalize on that with a vegan cookbook. Robin is a veteran author and you can count on her recipes to be easy and approachable renditions of the classics. With this book, I’ve found that a little tinkering is needed to achieve deep, complex flavors; however, the recipes do taste good as written. Another bonus is that Robin’s recipes use modest amounts of oil and emphasize fruits and vegetables. As promised, many of them are cooked in just one cooking vessel, but the concept is stretched a little bit to include dishes with several components that happen to be finished and/or served in one dish. To be honest that made me feel a little cheated, based on the book’s title – but they’re generally still fairly easy. 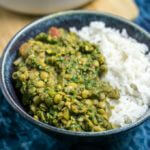 Some recipes that I have enjoyed are the Lime-Dressed Vermicelli with Edamame, the Indian-spiced Risotto, and the Red Bean Gumbo, which is a file-thickened version, rather than roux-thickened. NB: this cookbook contains no pictures of the recipes. Cook the Pantry by Robin Robertson. Another hit from Robin, full of appealing and EASY recipes. I tested two of them on my omnivore mother and she loved them both. If you keep a well-stocked pantry but aren’t always savvy enough to use that pantry to its fullest potential when you need it the most… this cookbook is for you. 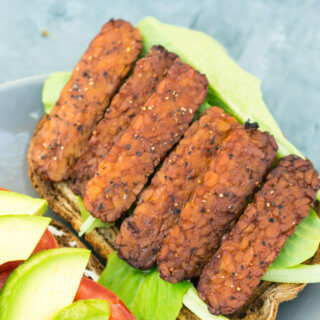 Check out my full, detailed review of Cook the Pantry (including a recipe for BBQ Tofu Sandwiches and links to more recipes shared by other bloggers). Vegan Casseroles by Julie Hasson. Julie Hasson is another veteran author. In addition to Vegan Casseroles and Vegan Diner (below), she has also published Vegan Pizza, as well as several non-vegan baking tomes. A whole book of vegan casseroles is a pretty genius idea. My friends keep asking to borrow it and when I’m cold and hungry the cover picture just calls to me. I love that the book teaches you recipes for some base casserole sauces and methods so that you also have the tools to invent your own. PSA: This book uses a LOT of cashews. Not necessarily a bad thing – but worth knowing. We loved the zucchini basil bake, the baked olive and artichoke tapenade, and the rustic bread pudding. The China Study Cookbook and the China Study All-Star Collection, by Leanne Campbell, PhD. These cookbooks both follow the prescription of “Whole Foods, Plant-Based”, meaning no oil, no refined grains (such as all-purpose flour), and no refined sugar. And vegan, of course. I can’t go any further without saying something that really bothered me. The food photography in The China Study Cookbook is absolutely atrocious. We’ve all looked back on the early stages of our food blogs, aghast at how bad the pictures were, but the pictures in these books are about 1000 times worse than that. Flipping through the book, I kept thinking, “well the next picture couldn’t be any worse than that one”, but then it kept hitting new lows. A lot of them just look like blurry, up-close pictures of strange mush, taken with an aggressive flash. I would have WAY rather had a book with no pictures whatsoever. There happen to also be a handful of halfway-decent pictures, and the maddening inconsistency makes it all the more baffling. The China Study All-Star Collection has much more reasonable photography, though there are still a few real duds. Why not just leave those particular recipes picture-less? So strange. I’ll try to add a few snapshots later so that you can see what I mean. As for the recipes, they’re about what you’d expect out of something with the restrictions listed above. I’m not particularly interested in a salad dressed with nothing but lemon juice, nor a loaf of bread made with whole wheat pastry flour. I’m not even sure why you wouldn’t use ordinary whole wheat, as whole wheat pastry flour has even less gluten content and structure than whole wheat flour does. And there is no way I’m willing to make a fat-free, sugar-free, whole wheat cake. No! 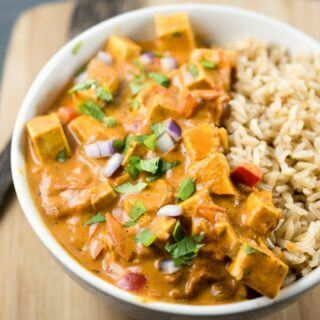 Your best bets are the Asian-style dishes like Thai coconut curry, which have at least some fat to carry the flavor through, and a lot of flavor thanks to spices and aromatics. There are also plenty of healthy breakfast recipes and smoothies that look perfectly good, as well as some fruit-sweetened desserts. The All-Star Collection is definitely a cut above in terms of recipe quality, so if you only buy one of these, I’d definitely pick that one. But I don’t recommend either one. If you really insist on cooking recipes that are already oil-free as written, you should simply visit Susan Voisin’s FatFree Vegan Kitchen. I believe Susan does a much better job of building satisfying flavors and textures without oil. Thug Kitchen. (By authors who appear to be staying as anonymous as possible following all of the racism controversy). I figured this book would be right up my alley, because I have an incredibly bad potty mouth (that luckily does not tend to translate very much, intentionally or otherwise, to my blog writing), and I know that these recipes are designed to be universally appealing and not just directed at vegans, which is how I like to cook the majority of the time, since I feed an omnivore at home. And reading through the book, that’s exactly how they come off. 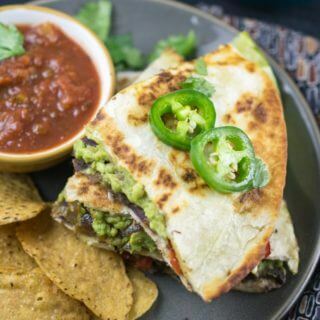 I was surprised that even I got a little tired of the try-hard foul language by the end of it, but these recipes are really really good, and you could definitely serve them at a mixed-crowd gathering with success. Some recipes we enjoyed are the crispy millet and peanut butter buckeyes; the silky roasted red pepper pasta; and the tortilla soup. Buuut, yeah, this is not for the faint of heart. Thug Kitchen Party Grub. The anticipated follow-up cookbook to the original Thug Kitchen cookbook. Overall I was not nearly as impressed with this book as with the other one, starting from my first read-through. 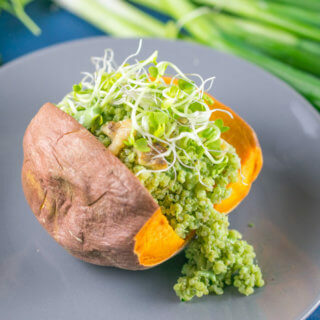 Not as many recipes jumped out to me as being creative and different, and there seems to be a heavier reliance on “vegany” ingredients like nutritional yeast. I have yet to actually prepare a recipe from the book. Some that have caught my eye are the coconut pancakes; baked rice and leek cakes; and scrambled curry tofu fried rice. Vegan Soul Kitchen by Bryant Terry. In my opinion, this is another must-have cookbook from an author who has now released several volumes. I live in Baltimore and soul food is pretty popular here. We even have an all-vegan soul food restaurant, but their food doesn’t hold a candle to Bryant’s recipes. Tempt your taste buds with pan-fried coconut tempeh cubes with creamy celeriac sauce; black-eyed pea fritters with hot pepper sauce; spicy smothered green cabbage; blackened tofu slabs with succotash salsa; and Creole hoppin’-Jean. Among a bajillion other things that trust me, you want to eat. Also awesome? Every recipe comes with a recommended ‘soundtrack’ song. NB: These recipes call for a TON of oil and a lot of them are deep fried. You can get away with reducing the oil (most of the time) and upping the other seasonings a little. Vegan Diner by Julie Hasson. Another cookbook from Julie Hasson that falls onto the ‘comfort food’ spectrum. In this book you’ll find things like veggie burgers, cakes and muffins, fries, sandwiches, and everything in between. Some favorites include the mocha muffins; biscuits with creamy sage gravy; and herbed breakfast “sausage” patties. DIY Vegan by Nicole Axworthy and Lisa Pitman. From no-bake press-in pie crust, to popcorn seasoning, to cashew cheese, to fresh salsa, all of the basics are covered in this book, which I was lucky enough to receive for free. There are several truly special recipes in the book, including the peanut butter cup popcorn. Other than that, in this digital age, I honestly don’t flip through the book much. If I’m looking for a recipe for a specific staple it’s easier for me to Google it than to look it up in the table of contents of this book, but depending on your style, this could be a great resource for you to have on hand. 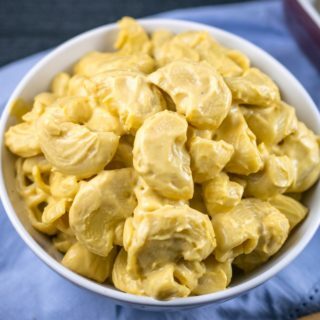 Some recipes require special ingredients for obvious reasons (like probiotics to make yogurt and aged cheese), but generally the ingredients are simple and easy, and the recipes are reliable. What cookbooks am I missing that I absolutely must get? Do you agree or disagree with my opinions about the books on the list? Let me know! I often faun over so many of these cookbooks at Chapters and I adored reading your thorough and honest review of them. You’ve inspired me to add a few to my own collection – thanks! !